This week we are expecting red lettuce, celery, 4 ears of sweet corn, lemongrass, mentha, basil, 2 lbs. of red and white potatoes, cilantro, and green onions from MimoMex farms! 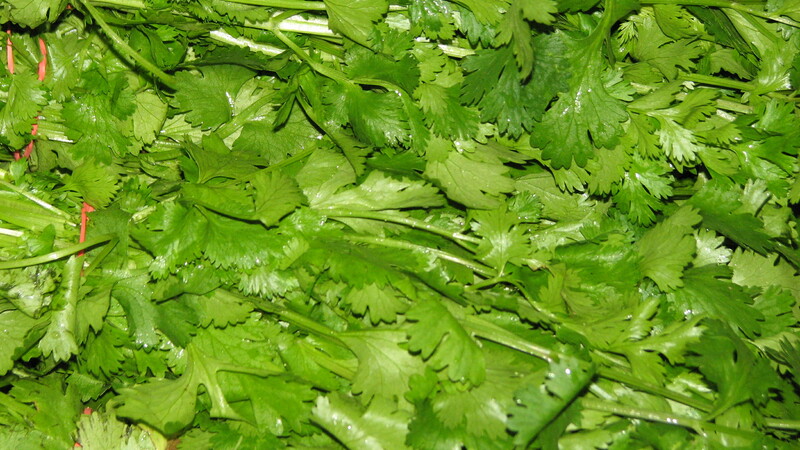 You can almost smell the fresh cilantro through the screen! Be sure to keep an eye on the forum section where all members can post recipes using these awesome veggies!